Physical Activity and Health explains clearly, systematically and in detail the relationships between physical activity, health and disease, and examines the benefits of exercise in the prevention and treatment of a wide range of important conditions. 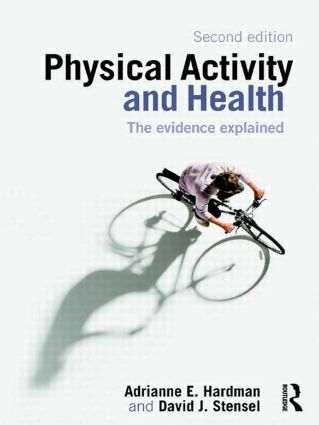 Now in a fully updated and revised edition, and still the most complete and engaging textbook on this important subject, Physical Activity and Health offers a balanced examination of the very latest evidence linking levels of physical activity with disease and mortality. It offers a wide-ranging assessment of the importance of inactivity as a factor in major diseases and health conditions such as cardiovascular disease, diabetes, obesity, cancer and osteoporosis. The book is designed to help the reader evaluate the quality and significance of the scientific evidence, and includes an invaluable discussion of common study designs and the inherent difficulties of measuring physical activity. It also explores the full range of contemporary themes in the study of exercise and health, such as the hazards of exercise; exercise and the elderly; children’s health and exercise; physical activity and public health policy; and a critical appraisal of current recommendations for physical activity. Containing useful features throughout, such as chapter summaries, study tasks, guides to supplementary reading and definitions of key terms, and richly illustrated with supporting tables, figures and plates, Physical Activity and Health is an essential course text. Now supported by a companion website featuring self-test questions, PowerPoint slides for lecturers, additional learning activities and web links, this book is vital reading for degree-level students of sport and exercise science, public health, physical therapy, medicine and nursing. Visit the companion website for Physical Activity and Health at www.routledge.com/textbooks/9780415421980. Adrianne E. Hardman is Emeritus Professor of Human Exercise Metabolism at Loughborough University, the UK’s leading centre for sport and exercise science. Adrianne has over 25 years of university teaching experience, has published widely and given invited lectures in many countries, and has contributed to the development of guidelines on physical activity in the UK and in North America. David J. Stensel is a Senior Lecturer in Exercise Physiology at Loughborough University and was formerly a lecturer at Nanyang Technological University, Singapore. An experienced teacher and researcher, David has also given invited lectures in the UK and overseas.